Looks good doesn’t it? The rays of light refracting off its luscious Lapiz metallic blue skin makes this knife edged 7.5R an irresistible looking hot hatch. This time they’ve been generous with the piano gloss black trims, drizzling it all over the front bumper, as aero bits and all round accents. Even the wheels are finished in high gloss black. The Golf R never looked better. Now cleaner, yet meaner and a bit more grown up. 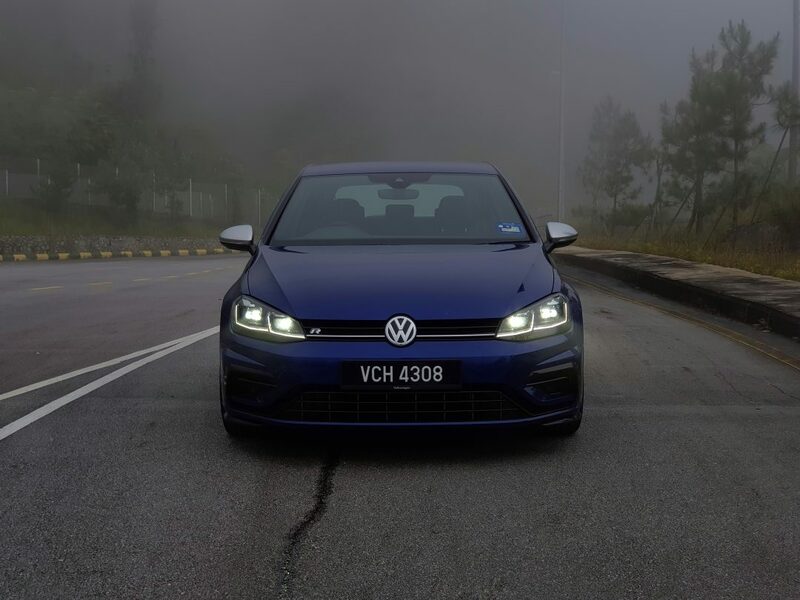 Enter the latest MK7.5, 3 Door Golf R which was recently made available officially via VW Malaysia on top of the 5 door Golf R range. 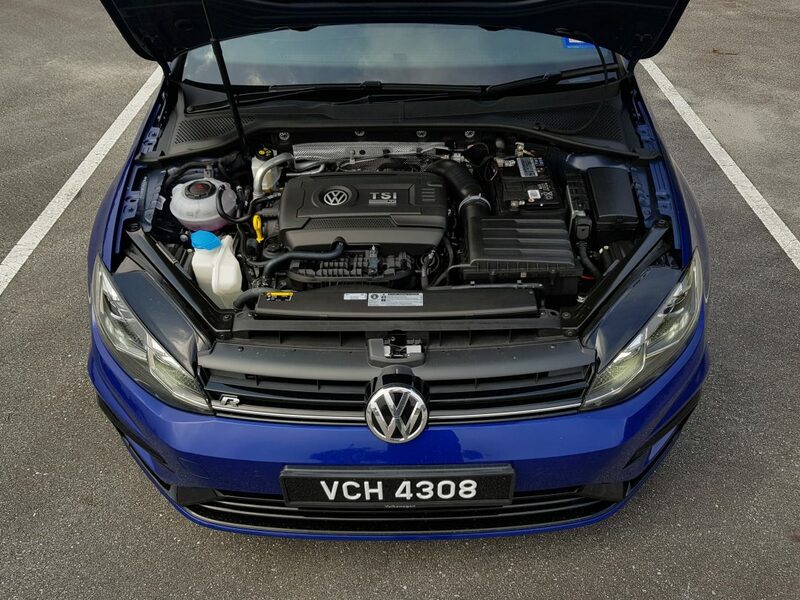 This 3 door Golf R is also cheaper than its 4 door sibling by about RM10K at RM294,390.00. Honestly, it can feel a little basic on the inside without the keyless entry, keyless start and especially with the absence of electric seats. To make matters worse, it doesn’t even get sport seats. Drivetrain: 4WD with 4MOTION all-wheel drive system. LED taillights with Dynamic Indicators and progressive steering. 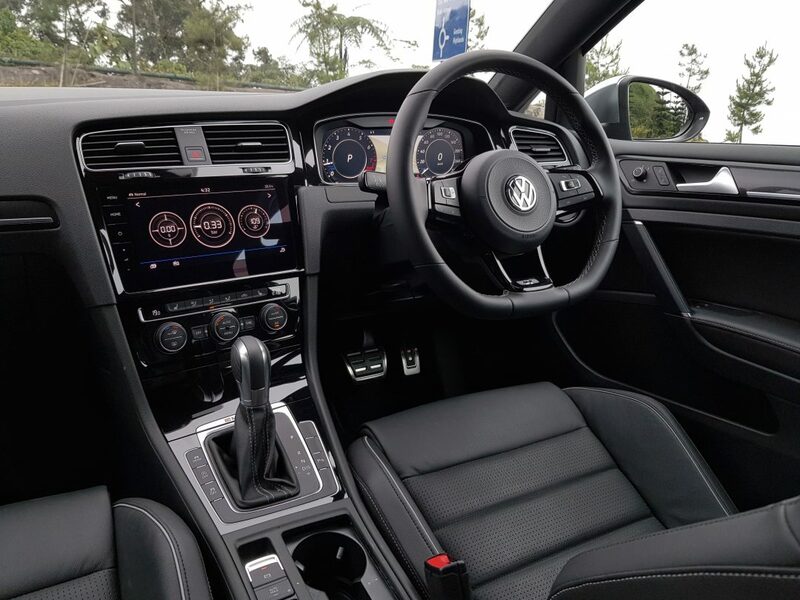 Of late, having gone through a series of cars, mostly modern, well equipped ones, there was a brief relearning moment when entering the new Golf R cockpit for the first time, to find the keyhole and insert the jacknife key. We’re talking top of the range, cream of the crop, most expensive Golf in the stable. What we have here are regular, mechanically adjusted seats. Apart from the R embroidery, the seats look and feel just like those on a regular Golf GTI. Initially for sure but not really afterwards. Not after getting to know the Golf R for a couple days. 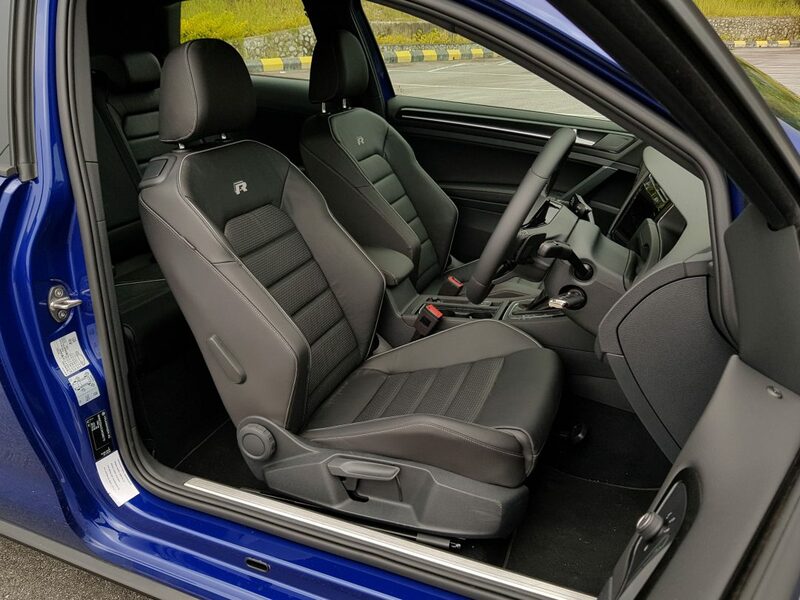 In the end, these seats are a set-it-and-forget-it thing, so with them not being electric are completely fine, not to mention forced weight savings so that’s a plus. Also, with its price tag being RM10K cheaper than the 5 door (RM304,390.00) improves the idea somewhat. The seats offer good support although I felt they were a tad small. I also quite like its seating position via the range of adjustments these seats provide, which is improved by the adjustable steering, although its telescopic reach is rather limited. Still a decent cockpit nonetheless. What’s unacceptable though are the puny shift paddles, these are more like buttons than they are flaps. As trailblazer of the DSG culture and flappy paddles, it’s surprising VW overlooked this aspect. Shift quality, speed and transition are all right on point, never fails to impress. The Golf R feels light footed and nimble. In Normal mode, Its adaptive suspension is firm-ish but can pretty much skim through the roads in KL, has a mature feel to it and is an enjoyable experience every time. This is probably the best part about the new R. In fact in any mode, the supplied ride is supple and more than well sorted for a hot hatch with family in mind. Select Comfort and the suspension instantly softens further, into what seems to feel like a big sedan. 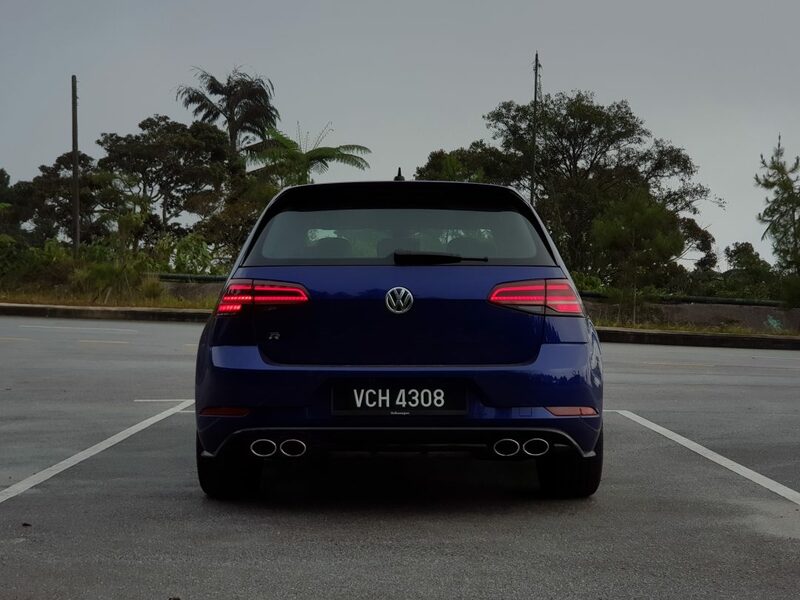 Easily makes it the most comfortable in class too, between the top hot hatch choices available here in Malaysia. Two of the new R’s best tricks are its improved 4-Motion 4WD system and non-mechnical torque vectoring XDS acting as LSD. The 4-Motion all wheel drive will take any beating and deliver results with a smile, unlike the more ferocious AMG GLA45 for example, that announces its every move in full volume. 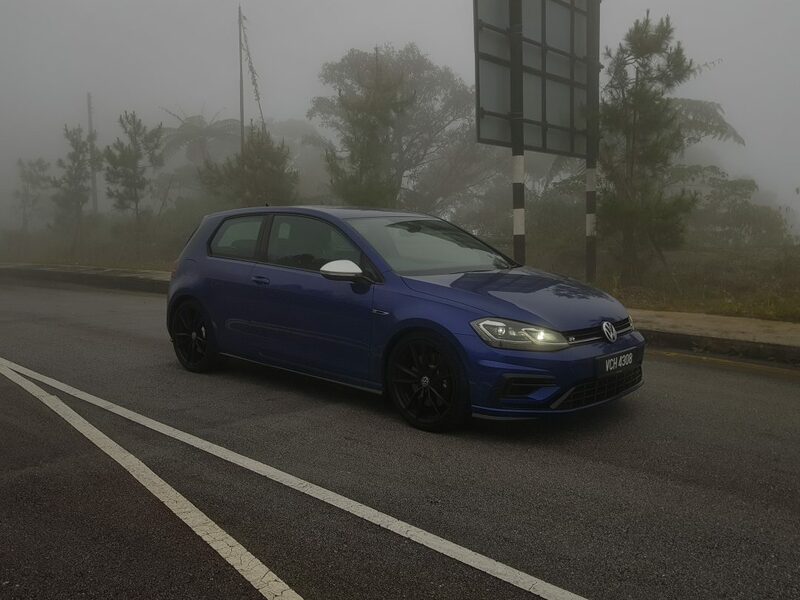 The Golf R is a lot more sedate on the run even while at the edge, sometimes even masking its contribution to portray talent nonchalantly. This aspect has always been predictably good so no surprises here, what’s different are the slight gains made over predecessor MK7R with about 10ps increase to a total of 290ps while maintaining previous 380nm torque figure. That’s pretty much the summary of its well perfected EA888 2L 4 cylinder engine. What’s most significant in the new candidate’s improved power delivery is the addition of 1 forward gear, taking the wet dual clutch box from 6 speed to 7 speed. Still, if you’re expecting a big jump from the previous R, you’d be mildly disappointed because the most significant take away from the latest 7.5R is the added refinement in driving experience, not so much lap times. What’s guaranteed here is its unrelentless pursuit of hot-hatchness that still burns strong in this new R even though it’s more grown up and well mannered now. Golf R or Type R? 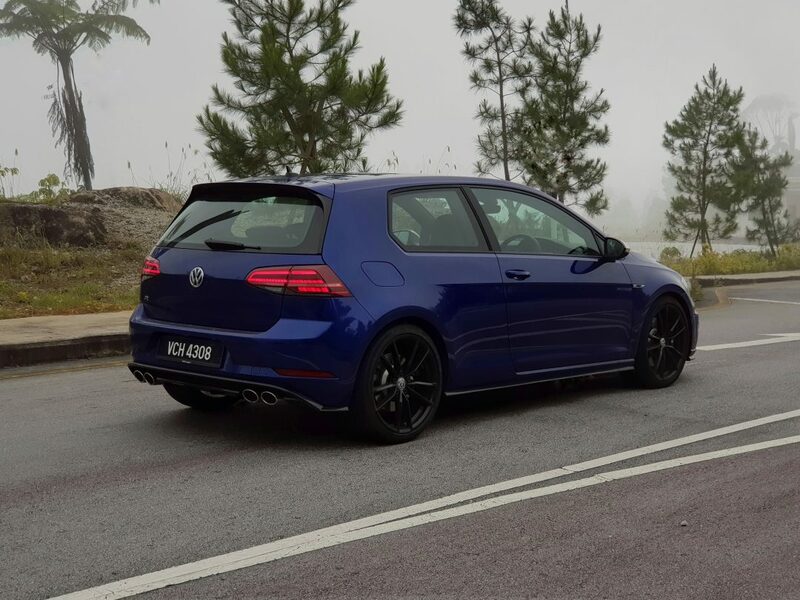 Golf R because it is the more capable car, although getting a bit stagnant and predictable. Also a bit basic inside. Looks good outside. Has matured very well, no longer young punk MK5 Golf GTI era with the hyped up pops and bangs. Still the quicker car here and dummy proof fast, even in the wet. 2WD is no comparison to Golf R 4WD. 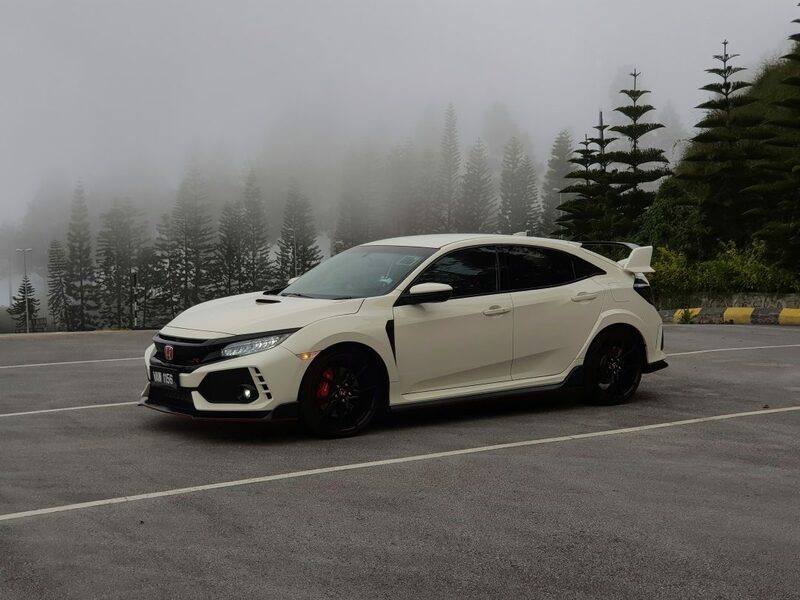 Type R has heritage, looks that kill, comes with plenty of goodies inside out. Delicious chassis, comfortable, plush, roomy, easy to drive. It’s fast, has high limits as well, it just takes a bit more effort to extract the best out of it. All the extravagance sort of drown the driving drama one comes to expect from a Type R or any hot hatch for that matter. It’s also a great daily car. So it depends what kind of guy you are. 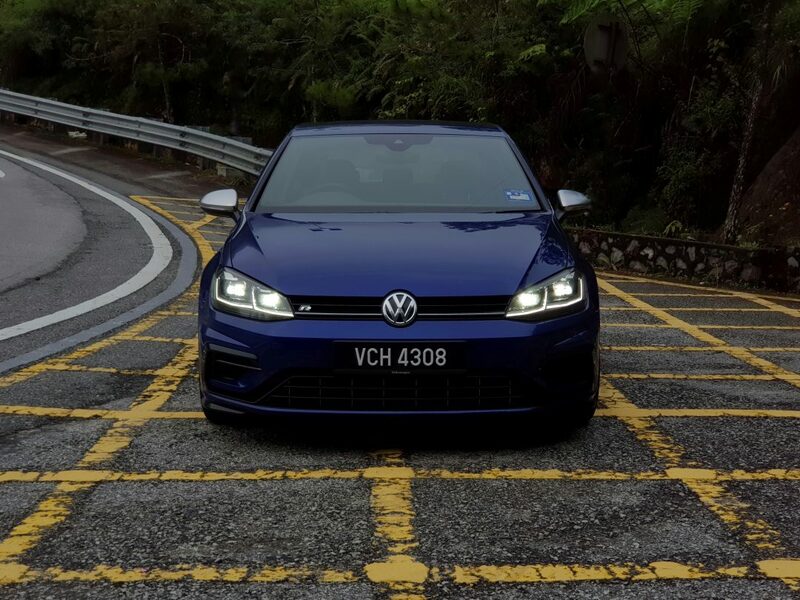 How does it handle against the 4-door equivalent Golf R MK7? I like the blue, the contrasting side mirrors. But I can't help but feel the Golf R isn't "special" relative to a normal Golf. Whereas a Type R "feels" special. I'm ONLY talking about the feeling it invokes, not its capabilities. And I feel the Golf R's premium price tag in our market is… not worth it. If I was hunting for a German hot hatch, at that kind of pricing I'd go the distance and get the A45. Just my personal opinion. This should be available in manual, then I might be interested. Otherwise I'd pick AMG offering anytime any day. Its competition though would be the new A35, not the monster A45 which is rumored to reach over 400hp later. As for the latest Type R, I don't like it at all! The current A45 is the best balance between the look of this too subtle 7.5 and the tacky boy racer Type R.
How's the ride on 19" wheels? A bit sad that Mk7.5 R isn't available with 18" wheels. I've only driven pre-facelift Golf R with 18" wheels & adaptive dampers. I won't even bother bringing A45 into ride quality argument after sitting at the back of A200/A250 4Matic (probably can be solved with aftermarket coilovers). Easy la, for both cars just downsize to 18' and use thicker tires, should improve the comfort a bit.